This is the new, non-cataloged Model 20 " Ward Gay Special ". This Yukon Skinner features a 4-1/2" forged carbon steel blade with thumb notches on top of the blade for thumb placement. The nickel silver single hilt has been expertly engraved by master engraver Jere Davidson and is accentuated by Randall's iconic red, white and blue spacers. To the best of my knowledge this is the first and only Ward Gay Special to be engraved. The handle is crafted from virtually indestructible black linen micarta and carries finger grips on bottom for right or left hand use and finishes with a wrist thong. 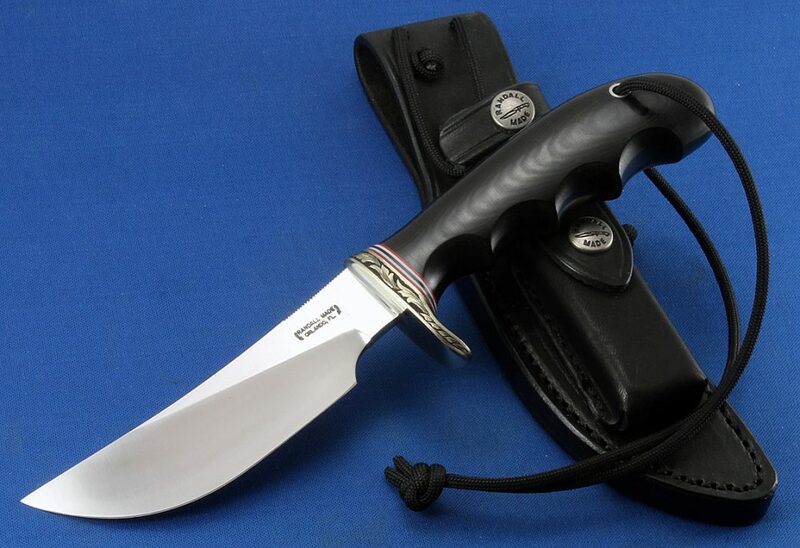 This knife was designed by Bo Randall's close friend Ward Gay, a famous Alaskan guide and bush pilot. 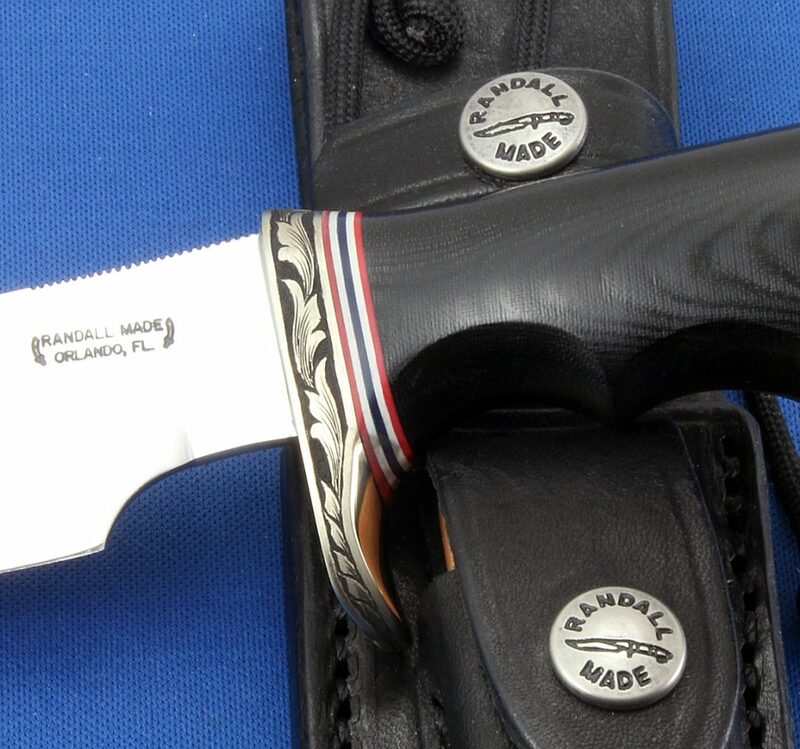 Furnished with a special ordered black Randall Model A sheath.